Keith Fender reports on the construction of the Northern Line extension to Battersea, which has necessitated the construction of a narrow gauge railway under south London – albeit a temporary one. 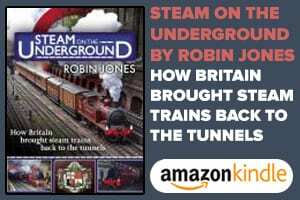 MAJOR tunnelling projects are normally accompanied by construction railways using locos designed for mining and tunnelling – by their nature these railways are temporary and rarely documented in the railway press. 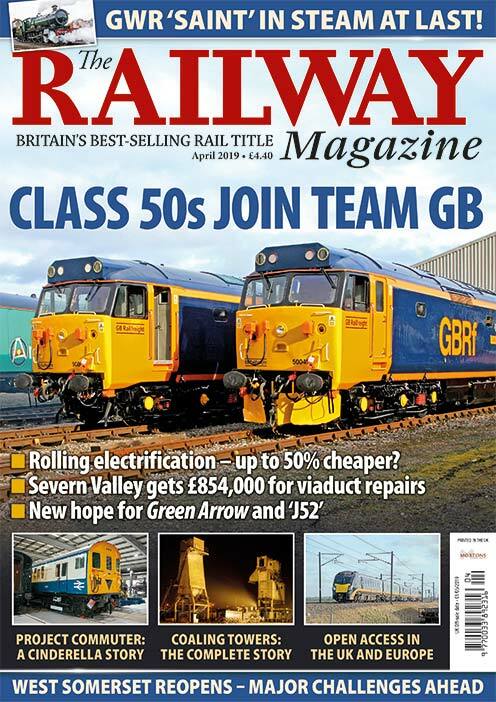 Thanks to a visit to see construction work on the new Northern Line Extension (NLE) in south London, The Railway Magazine can tell the story of one short-lived, 750mm-gauge railway under Battersea and Kennington that began operation in 2017. By the middle of 2018 it will no longer exist… although another new one will be in operation nearby. A less than entirely straight 750mm gauge track seen from the cab at what will be the Nine Elms station site. The 3km, £1billion extension of the Northern Line from Kennington to a new terminus at Battersea Power Station is designed to serve one of the biggest regeneration projects in London, with more than 20,000 new homes, new offices, and the imposing new American Embassy being built in the area – part of which was once home to the LSWR’s Nine Elms shed. The new Underground line, which is being partly paid for by the developers building the new homes and offices, is due to open in late-2020. Two new Zone 1 stations will be added to the Northern Line – Battersea Power Station and Nine Elms. 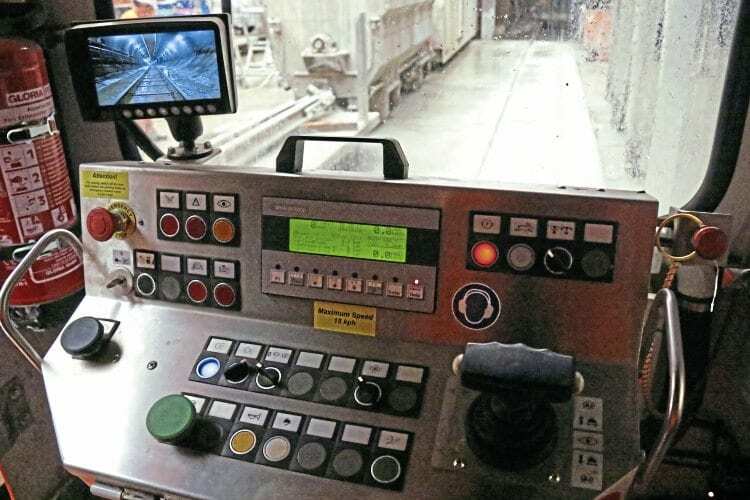 A 50-50 joint venture consortium, comprising Spanish civil engineering firm Ferrovial Agroman and UK construction company Laing O’Rourke, is building the new line – the consortium is known as FLO (Ferrovial Agroman/Laing O’Rourke). Two separate tunnels have been created by two tunnel boring machines (TBMs) between January and November 2017. 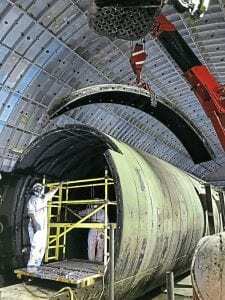 Both new tunnels join the Northern Line just south of Kennington station, with separate junctions for both being off the Kennington empty stock loop line, sections of which will become part of the new Battersea branch. The middle part of the empty stock line will remain for use if trains need to be turned at Kennington, although once the new branch to Battersea is available the plan is that trains which terminated at Kennington will continue there. 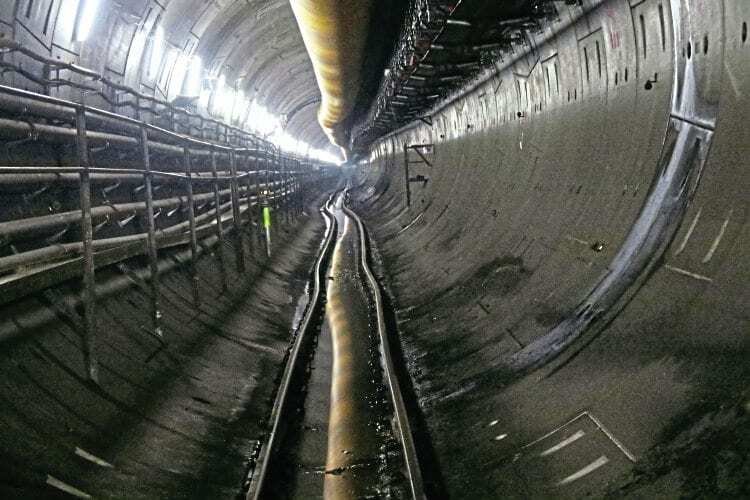 The two new tunnels vary in length: the northbound one is 2.4km, while the southbound one (which passes five metres under Oval station on the Morden branch of the Northern Line) is 2.6km. 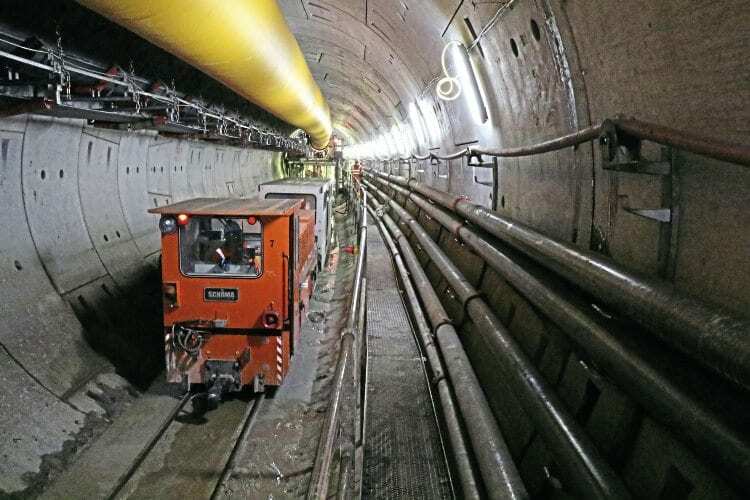 The TBMs can only work with the aid of the 750mm-gauge railway as it brings in the concrete segments used to line the tunnel wall, materials such as grout, new track as the tunnel gets longer, and the line also provides transport for the workforce to and from the TBM. Loco No. 7 and its train near the TBM building the northbound running line of the Northern Line extension just over 1,200 metres from Battersea under Kennington Green. The walk was initially a short one, but by the end of the project it will be a 2km one. The driving cab of Schöma CHL-60-G No. 7, the CCTV screen showing the rear of the train and the tunnel. 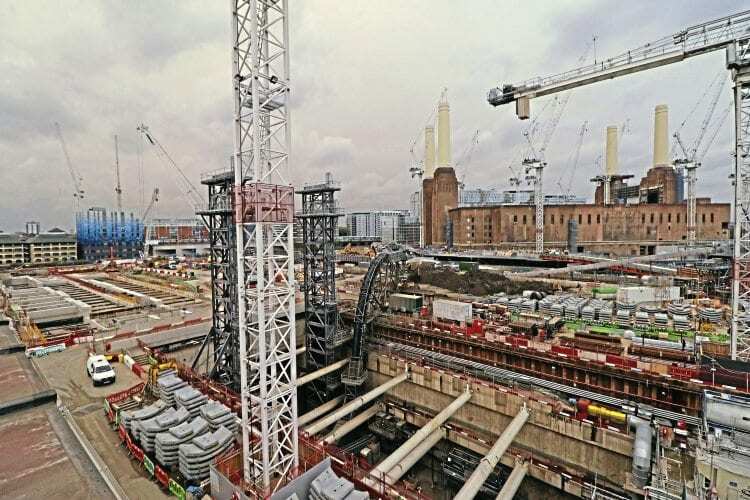 The Battersea work site is the base for all the tunnelling. 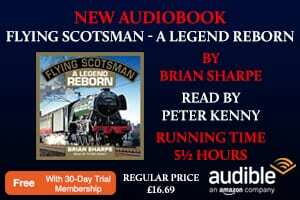 The TBMs were assembled in the bottom of a large shaft and after they had started their drives it became the base for the 750mm gauge railway. 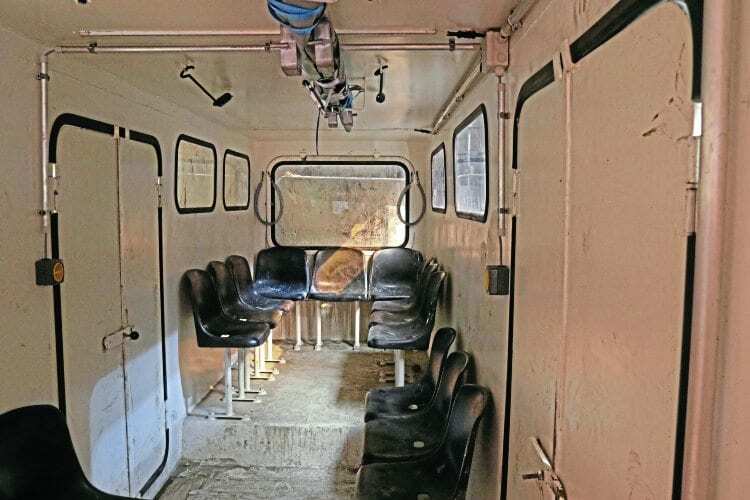 Inside the manrider passenger coach. All of the materials required are lowered to the bottom of the shaft by tower cranes after arriving on site by road, the tunnel segments coming from Kent.